ICICI Bank New Car Loan interest rate starts from 8.65% and ICICI Bank Used Car Loan interest rates starts from 10.50% . These are Fixed rate loans and are one of the best car loan rates in India. Rate of interest vary by borrower occupation, loan amount and loan tenure. Loan amount: Generally banks offer lower interest rates for higher amount. ICICI Bank offers 100% of ex-showroom price of your car. Your Salary: Higher salary bracket individuals are offered loans at lower interest rates. Car Loan interest rate ICICI varies with your net monthly income. Employer Category: Employer category of the borrower is a major deciding factor in order to determine his/her rate of interest. ICICI Bank has a list of company categories of salaried individuals to which they avail vehicle loan. So, higher company category leads to low ICICI car loan rate. Relationship with the Bank: ICICI Bank offers special rates, offers and charges to the existing account holders of the bank. Those who have managed their accounts and made all the payments on time in past will get benefit of low vehicle loan interest rate. Loan Tenure: ICICI Bank vehicle loans are of longer repayment tenure of 7 years. Repayment Capacity: Before giving loan to the borrower, ICICI Bank checks the repayment capacity of the borrower. Bank verifies the repayment capacity of the customer through CIBIL as it has all the details of previous loans taken and their repayments. CIBIL also gives the information of credit card bills payment. Age: Age plays an important role to know your eligibility and repayment capacity. ICICI Bank offers auto loan to those who are atleast 18 years old at the time of loan approval and maximum 65 years at the time of loan maturity. Income: ICICI Bank car loan calculator calculates your eligibility based upon your income. Usually bank set minimum levels of income to apply for car loan. ICICI Bank asks for net annual income of minimum Rs. 2.50 lakhs. Job stability and Profession: Job stability is important to improve your status and eligibility for vehicle loan from ICICI Bank. If you are working with a reputed company, probability of getting car loan increases as the income is considered to be more stable and bank offers best ICICI car loan interest to the employees of reputed companies. 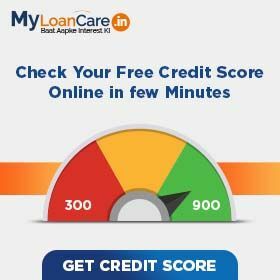 CIBIL Score: Your past CIBIL history and repayment record of existing loans and credit cards has a direct impact on your ICICI Bank car loan eligibility. If you have a poor repayment record, then you may not get the loan but on the other side, a regular repayment record increases your vehicle loan eligibility. Generally, Bank give loan at a CIBIL score of 700 and above. Loan Amount: ICICI auto loan amount depends upon your income. ICICI Bank Bank gives 100% of ex-showroom price depending upon the value of the car. To improve chances of approval, apply for a loan amount that you can comfortably service and check your ICICI car loan status online and avial multiple benefits. Foreclosure Charges - These charges are to be paid in case you want to repay your entire loan amount before the end of tenure period. ICICI Bank allows prepayment of vehicle loan after paying 1 EMI with prepayment 5%. Processing Fee - ICICI Bank asks for a processing fee of 0.00% of loan amount. Min. Rs. 2500and Max. Rs.5,000 with applicable service tax. What is car loan interest rate offered by ICICI ? As per current interest rates, ICICI car loan interest rates are in the range of 8.65 % to 16.70%. What is the lowest EMI per lakh on ICICI Bank car loan? Lowest EMI per lakh is Rs. 1,591 for ICICI Bank for a loan availed at an interest rate of 8.65% and for a tenure of 7 years. What is the maximum tenure of ICICI Bank car loan? You can repay your ICICI Bank car loan in a flexible period of 7 years. How much car loan I can borrow from ICICI Bank? ICICI Bank offers you 100% of ex-showroom price of car as loan. How much processing fee is charged by ICICI Bank on car loan? ICICI Bank charges a processing fee of Min. Rs. 2,500 and Max. Rs. 5,000 with applicable service tax. Is age an eligibility factor to get car loan from ICICI Bank? Yes, age is an important eligibility factor to get ICICI Bank car loan as you should be at least 18 years old at loan approval time and 65 years old at loan maturity time. Are there any prepayment charges on ICICI car loan? You can take car loan from ICICI Bank with prepayment 5%. Can I add my spouse's income while applying for car loan from ICICI Bank ? ICICI Bank has announced two new schemes for instant approval of car and two-wheeler loans in a digital and paperless manner. The Insta Auto Loan facility would allow pre-approved customers to avail of the final sanction letter of a car loan instantly for amounts up to Rs. 20 lakh, for a tenure of up to 7 years. While, Insta Two-Wheeler Loan, offers over 1.2 crore pre-approved customers the facility to get instant sanction of loan up to Rs. 2 lakh for a tenure of up to 3 years. ICICI Bank has maintained its MCLR for the month of August. The rates continue to be in the range of 8.05% and 8.40%. Six month MCLR is now at 8.35% and that of one year is 8.40%. The rates are effective from August 1, 2018. ICICI bank announced that it has crossed the disbursement of mortgage loan of over 1.5 trillion. Their aim is to grow its pan-India mortgage book to Rs 2 trillion by end of FY20. With the help of digitalization, the bank has enabled to obtain loan approval in a paperless manners. The bank has approved 2000 new housing project completely online. Higher income states like Maharashtra and Gujarat have been the key drivers of retail loans in India between FY 13 and FY17, according to the Reserve Bank of India (RBI). Total loan growth during this period was merely 9% but retail loans grew strongly at 16% due to growth in housing and auto loans. The average ticket size of retail loans also increased by 14% annually between FY13 and FY17.